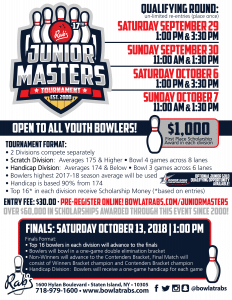 Rab’s Junior Masters Tournament returns in 2018 for its 17th Installment! Top 16 in each division will advance to the Finals! Finals Results along with Junior Gold Qualifying Standings available below.